As Solo: A Star Wars Story was kept under wraps for so long, we still don’t have an incredibly detailed idea of what to expect from the prequel movie – even though it’s quickly approaching release. Sure, we know the basics, but we’re still in the dark as to things like the film’s tone, for instance. The Anthology movies, after all, have a little bit more freedom than the mainline saga entries – just look at how gritty and gloomy Rogue One turned out to be. Apparently, though, Solo will be the exact opposite of that aforementioned movie in this department. 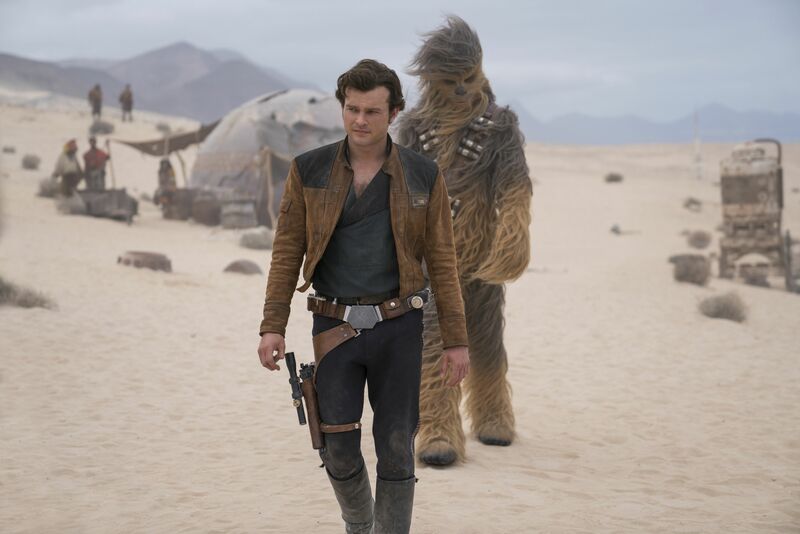 Star Alden Ehrenreich – who will be stepping into Harrison Ford’s humongous shoes as Han Solo – was interviewed on The Star Wars Show and promised that the film will be full of jokes and humor. This is a pretty interesting response. Once upon a time, this was obviously what was expected of the pic back when original directors Phil Lord and Chris Miller were in charge of production. However, their improv-heavy, comedic-leaning working style allegedly didn’t gel with what Lucasfilm wanted and so, Ron Howard was brought into replace them. Despite that, though, it sounds like Solo may well be the most light-hearted Star Wars movie we’ve had to date. I suppose that makes sense when you remember that it’s been claimed that Howard filmed the exact same script that Lord and Miller were working on when he came in. Presumably, Ehrenreich’s performance won’t remind anyone of Ace Ventura anymore, though. Solo: A Star Wars Story crashes into theaters on May 25th.